In 2005, Davi Kopenawa founded the Yanomami Hutukara Association. 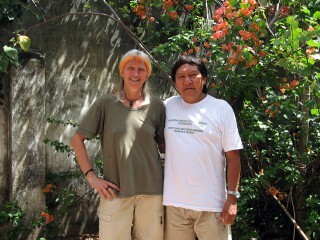 His association campaigns to secure the land rights of the Yanomami and their medical care. Davi Kopenawa is one of the few of his tribe to speak Portuguese. For the last 20 years, he has been traveling all over the world, delivering speeches on behalf of the Yanomami and their environment in front of countless politicians and NGOs. Christina Haverkamp and Davi Kopenawa are working together for years. 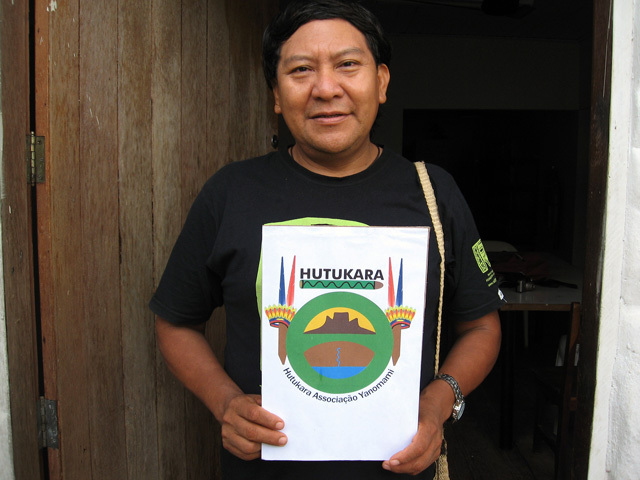 His association Hutukara is also available on the Internet: http://www.proyanomami.org.br. and since summer 2010 on http://hutukara.org/. In June 2009 Davi Kopenawa established an urgent appeal at the world public opinion, in which he asked for medical assistance for his people.